Fixed to the cross braces of the A-frame on either side of the swing seats, a drinks shelf makes swinging a wonderful relaxing experience. 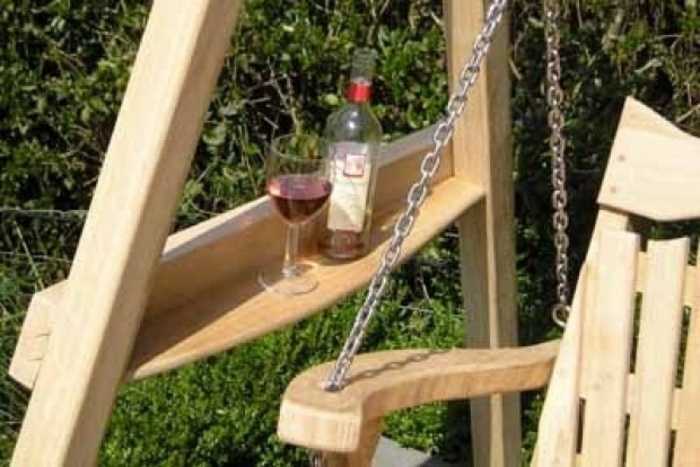 Whether it's a cup of tea in the colder winter months or a glass of wine on a summers evening, you can enjoy your swing seat without having to worry about balancing any delicate drinks. With our drinks shelves fitted to your frame you won’t even have to get up from the comfort of your swing seat and won’t be left wondering where to perch your drink whilst you relax. We believe they are a must have little extra.